When it is cold, dark and wintry outside, you need to find hygge inside. If you have children, you know how much they enjoy building a camp/fort, and playing in it all day. Today there are many cute ways to build a camp for the kids. 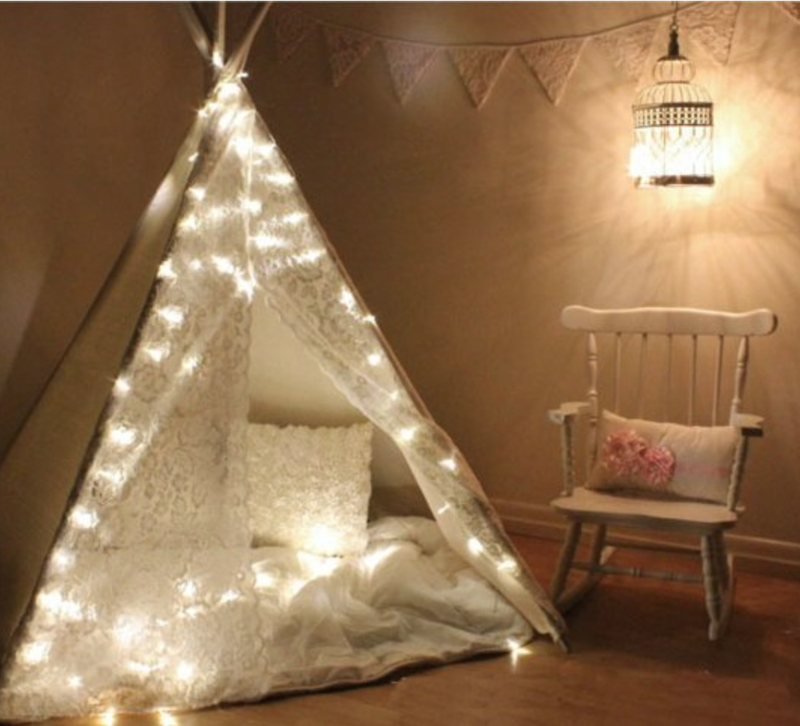 You could use a teepee and adorn it with fairy lights. You could make a ‘proper’ camp underneath a large table. You could transform their beds into a fairytale camp. I have gathered a few ideas for you underneath here. All of these ideas are easy to make with minimal technical skills, a lot of fairy lights, beautiful fabric, and loads of cushions. 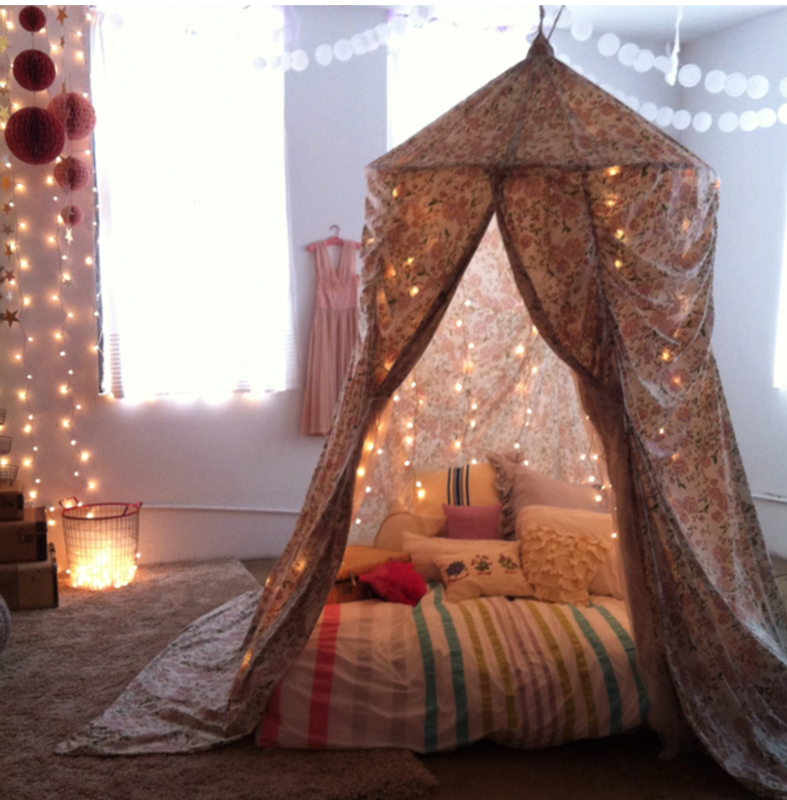 A bohemian bed with whimsical fabric, tassels, throws and blankets, and naturally fairy lights. 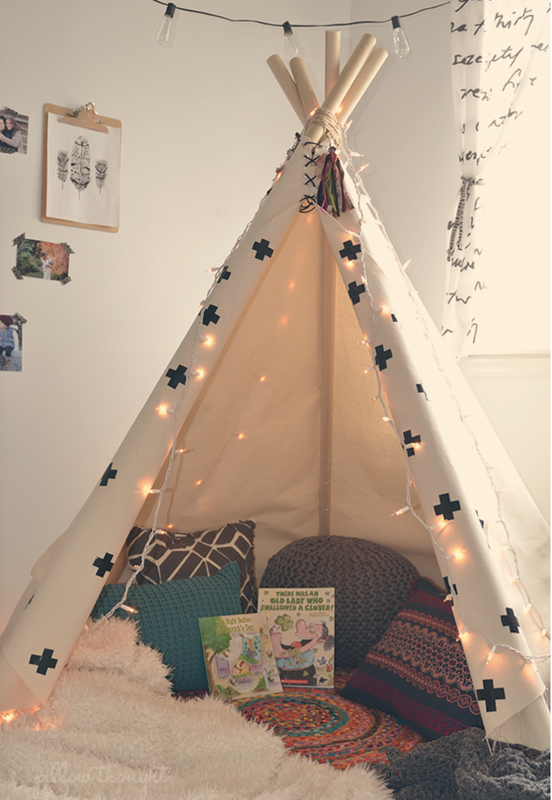 Teepee, fairy lights, books, cushions, throws – who could need more? 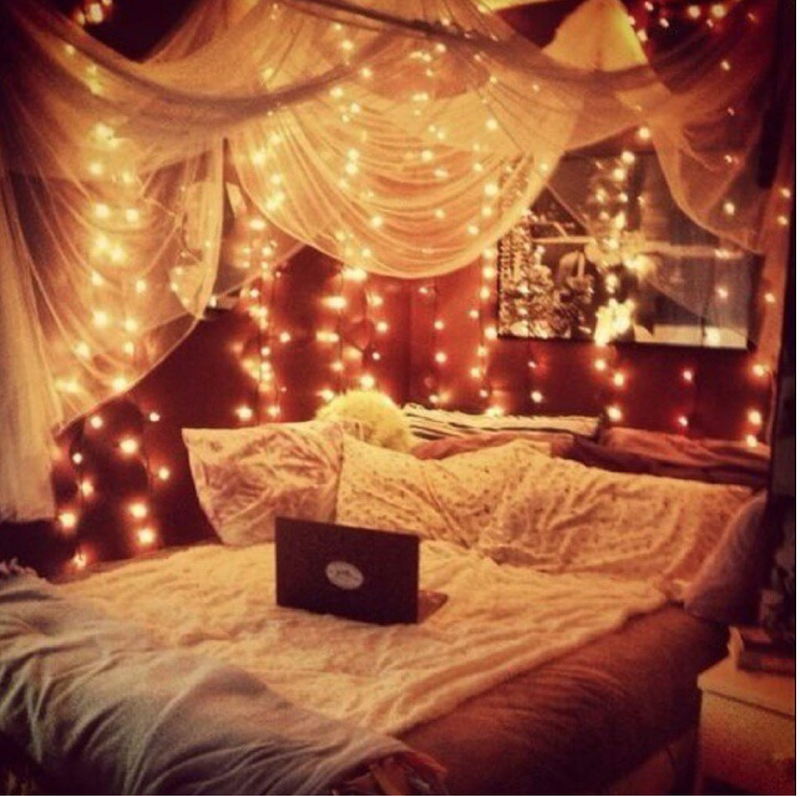 Fairy lights always make a space hyggeligt, and cozy. They are easy to assemble, and the atmosphere of the room becomes almost dreamlike. Do you make camps for your children, or even yourself? My girls love getting cozy together, and there is nothing more hyggeligt than seeing them have fun in their little camp.